We provide various opportunities to serve the congregation, the community and the world. Members should contact the church office or the pastor for more information if they are interested in serving. Altar Care: Communion is celebrated on the first and third Sunday of the month and on special occasions. The altar care committee prepares the Holy meal for the service and clears the table after the service. 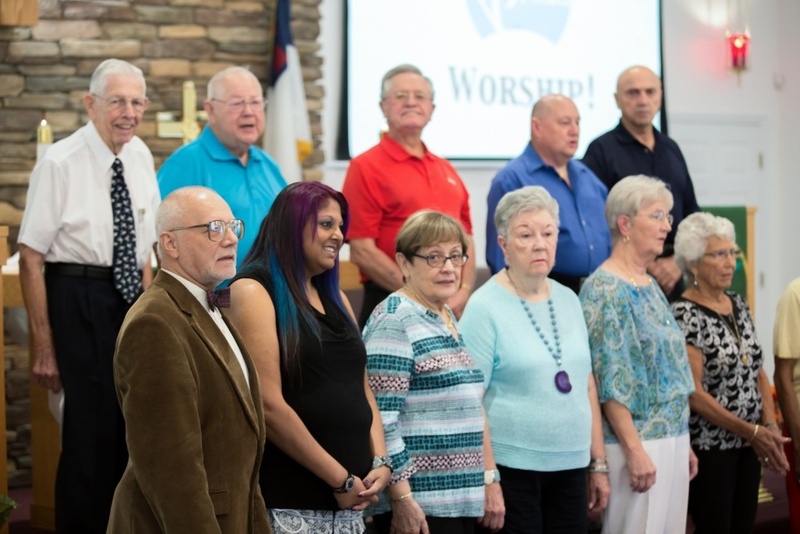 Choir: The choir practices every Saturday morning at 9 a.m., September through June, under the leadership of Larisa Bredley and accompanied by Vladimir Bredley. Communion Assistants: Volunteers assist the pastor and lay assistant in the serving of Holy Communion. 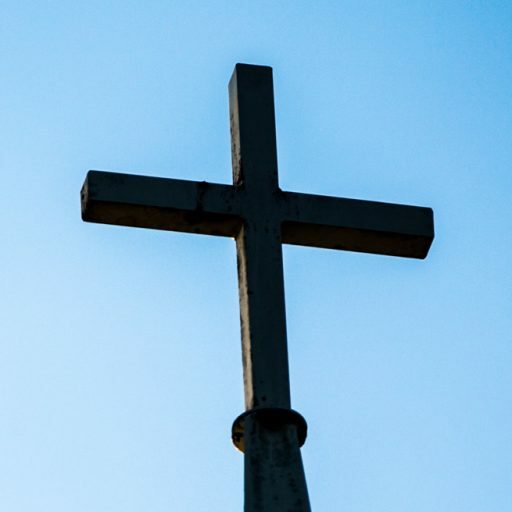 Assisted Living Facilities: Christ Lutheran Church leads weekly Worship Services at Windsor of Palm Coast and Princeton Village, assisted living facilities. Christ Lutheran also holds a weekly Bible Study at Windsor of Palm Coast. Resource Center: Christ Lutheran collects food for the Flagler County Resource Center, a food pantry. Members volunteer to distribute the food at the center to persons in need. Crafters: Crafters meet every Wednesday from September through June. 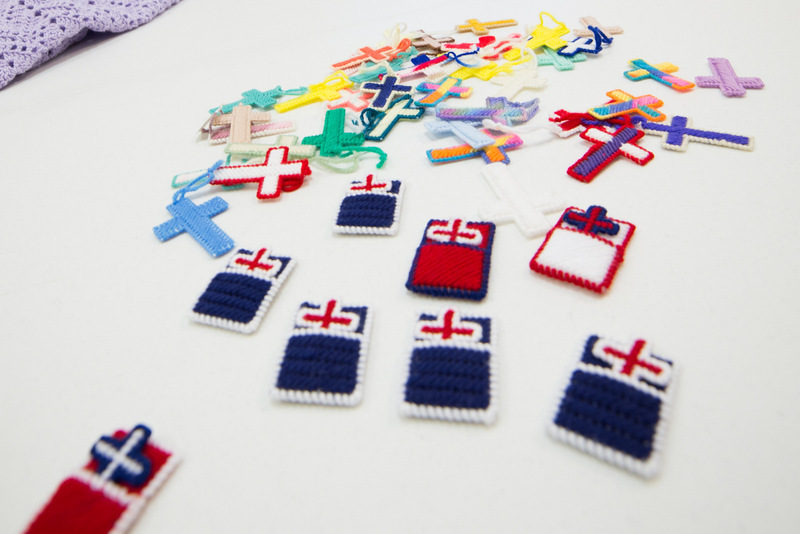 They donate some of their crafts and sell others with the proceeds going to the church and to the community, such as the Resource Center and Family Life, a women’s shelter. The crafters make crosses for the local library’s Chrismon tree. They also assemble roses and coordinate the placement of the roses on the veterans’ graves at Craig Flagler Memorial Gardens for Memorial Day. Lay Pastoral Assistants: Members of the congregation may assist the Pastor with worship services on the first and third Sundays of the month. Life Ministry: Every member of the congregation is assigned to a life minister. Life ministers are volunteers who stay in touch with their group on a monthly basis, visiting the sick or hospitalized, and sharing pertinent information with the pastor. Quilters: The quilters meet the second and fourth Wednesdays of the month at 9 a.m. to assemble quilts for Lutheran World Relief. You do not have to be an accomplished quilter to be a part of the group. Resource Center (Food Pantry): We help supply and to staff the Resource Center (Food Pantry) in Bunnell for two months of the year. 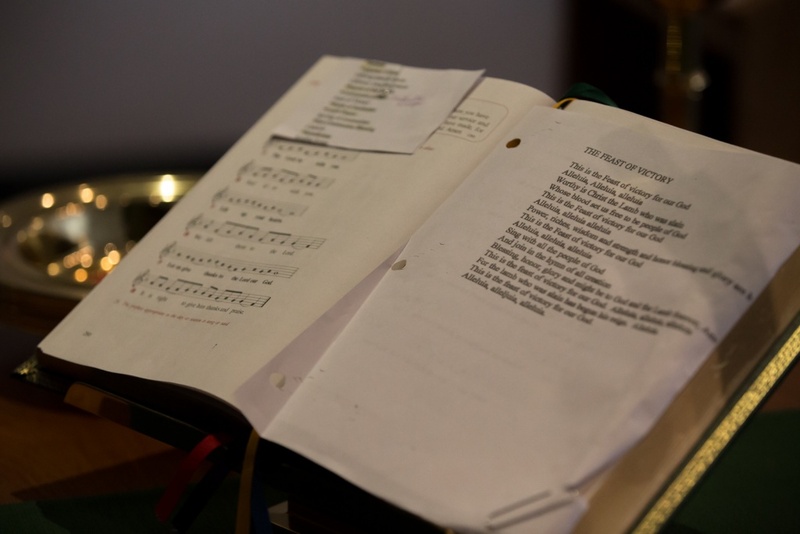 Lectors: Readers volunteer to read lessons during Worship. Sound Board/Worship Projector Screens: Volunteers operate the sound board and the computer and screens with the order of worship and hymns on them during Worship. Ushers: Ushers welcome members and visitors, distributing bulletins or anything else that might be needed for the service.